Geredco "Ltd." was established in 1995 to provide dedicated service and quality parts to the chemical process industry. We specialize in repairs to glass-lined equipment and mechanical solutions to on site issues, ranging from piping, drives, vessel placement, shipping, assembly, and accessory installations. We also offer a large array of parts from complete reactors and storage vessels to agitators, baffles, drives, mechanical seals, flush valves, glass covers, protection rings, spring assist devices, Teflon Gaskets, baffle holders, glass and teflon reducers and blanks, glass piping, mounting flanges and a wide variety of unique and hard to find pieces. Geredco also offers on-site vessel inspections, spark testing, preventative maintenance, consultations, pre- and post-shipping prep and inspections. 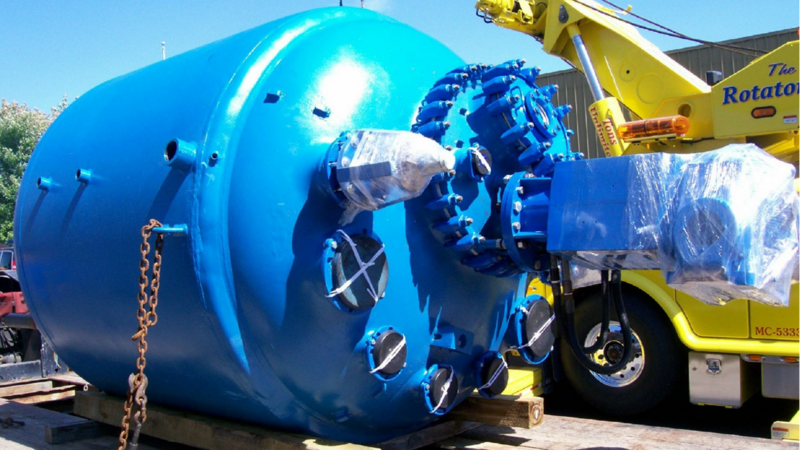 valve parts, domes and even whole vessels can be provided by Geredco. An exchange program is also available to help minimize your cost. © 2019, Geredco, LLC. All Rights Reserved.